Eco Nature Travel offers Laos tour packages which ensure visitors to highlights as well as untouched sites of the country. Laos is the peaceful country where reveals treasures of history, stunning natural beauties, forests, valleys, rivers and spiritual traditional values that remain until now. 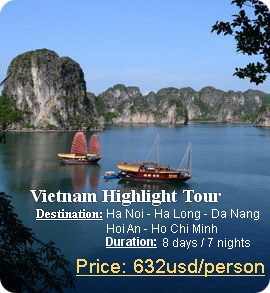 Laos tour will take you to taste from unexplored things to World Heritage Sites. Welcome to Laos and have a journey to discover the country by experience of nature, adventure and cultures including Luang Prabang – a World Heritage Site, Plain of Jars in Xieng Khuang that now still unsolved mysteries. Explore Khuangsi Waterfall with different shapes and size gold statues as well as make a cruise to mysterious Pak Ou Cave. Additional, Vientiane is the charming capital city with many ancient temples and unique attractions. Let come to Laos and discover the specialties of the tranquility country that no like others to enjoy your time with Lao s tours as your own way.